It's time for a brand new challenge on the Simon Says Stamp Wednesday Challenge blog! (I really need to find a new opening line for these Wednesday posts... hmmm... anyway...moving on...) This week we are creating Thinking of You themed cards. The design team is using Prima products for this challenge. You don't have to use them, but if you have some, we'd love to see how you work them into your projects! 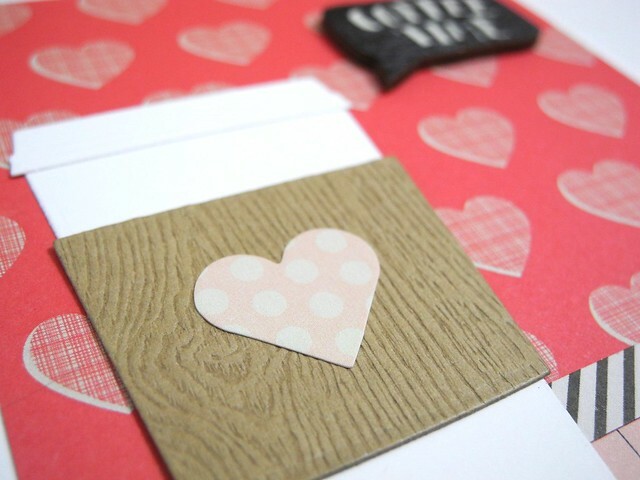 I love these adorable wood shapes from the Prima Coffee Break Collection! They are so much fun! I combined them with this SUPER CUTE coffee cup die set from My Favorite Things. I love it. Lots. Like, super duper lots. For reals, though. That is an awesome die set. Now it's YOUR turn! Head on over to the Simon Says Stamp Wednesday Challenge blog to link up YOUR Thinking of You themed card for a chance to win a $50 gift voucher to the Simon Says Stamp Store. I love your mix of papers, Jennifer! Fun card! Awesome card! Love the colors and dimension. The coffee cup looks so real! Cute card. Love all of the hearts. Adorable card Jennifer! Love that coffee cup!! Oh my! I have had coffee on the brain for days...as in I need some coffee themed stamps and dies. Love this card, Jen!! This is adorable! I love the woodgrain coffee cozy! A fabulous card Jennifer, I love your design and colours. Gorgeous coffee image and sentiment - that's tempted me to get the kettle on!!! What a fun coffee card, Jingle! 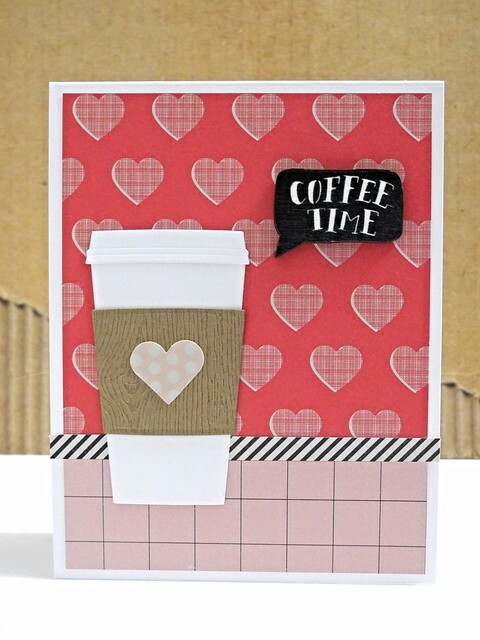 I just love coffee and love wood grain so you put two of my fave things together to make a card that would get a "star" from me! hey Jingle! sweet coffee card, luv it! hope you have a fabby weekend! Love your coffee card, its fabulous. This is gorgeous Jenn - the coffee cup looks fab! Being a coffee lover, your card really speaks to me. I love the strong graphic feel of it too. Blessings!